In Presbyterian, Anglican, Catholic, and Reformed churches you don’t expect to hear the same music and sing from the same ecumenical hymnal. Also within the Reformed Churches different songbooks are used, reflecting e.g. the different history and identity of the federations. Focusing on the Canadian Reformed Churches (CanRC), there are many blessings that can be discovered in the Book of Praise. The word “blessings” I use intentionally because an “outsider” told me so. Let’s look at some factors. 1. The songbook contains more Psalms than Hymns. The CanRC don’t have to follow the trend of the past few years where many churches rediscover the Psalms, as they never lost the Psalms! 2. The limited number of tunes allow the churches to sing most of them. Where in other federations a small percentage of songs is actually sung, the CanRC sing close to 100% of their songs. 3. Children are able to sing wholeheartedly along in church, even before they are able to read. The limited number of songs allow the schools to develop a song-memory work schedule. Most schools teach all tunes at least once in the Elementary School. 4. The songs are not provided with harmony, allowing everyone to sing in unison. This creates amplified singing which is generally not heard in other churches. Accompaniment is sensitive to the text and can provide different harmonies depending on the message. 5. 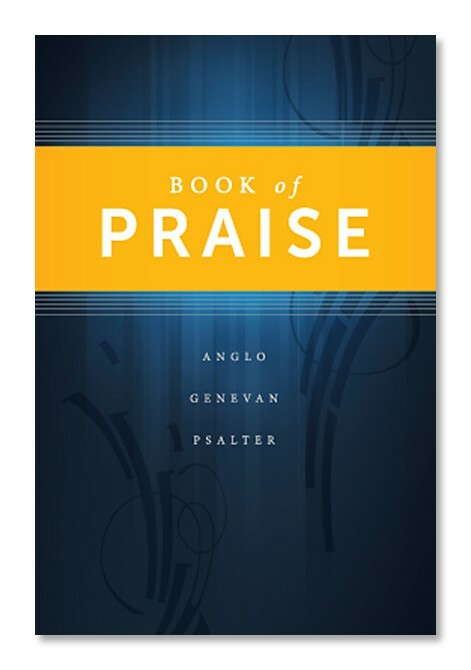 Where other churches request songs to be chosen that fall within a singable range, the songs in the Book of Praise are mostly limited to a range of 8 notes, which is singable to most people. 6. CanRC musicians have access to lots of sheet music available for preludes, postludes, pre-service and post-service music, from easy to advanced playing levels. This is a huge benefit to the congregations. 7. CanRC musicians build up a repertoire, and can re-use the music that they learned. The limited number of tunes in turn limits the study of church musicians, although many church musicians still need to spend many hours of practice to make sure it sounds good on Sunday. The CanRC have a limited number of songs, but they are all sung, they are sung well (also by children), there is ample sheet music available, and many church musicians are capable of accompanying anyone of the songs.